Wormsloe is one of Georgia's State Historic Parks located in Savannah, Georgia. It depicts a 1700s Colonial Estate. 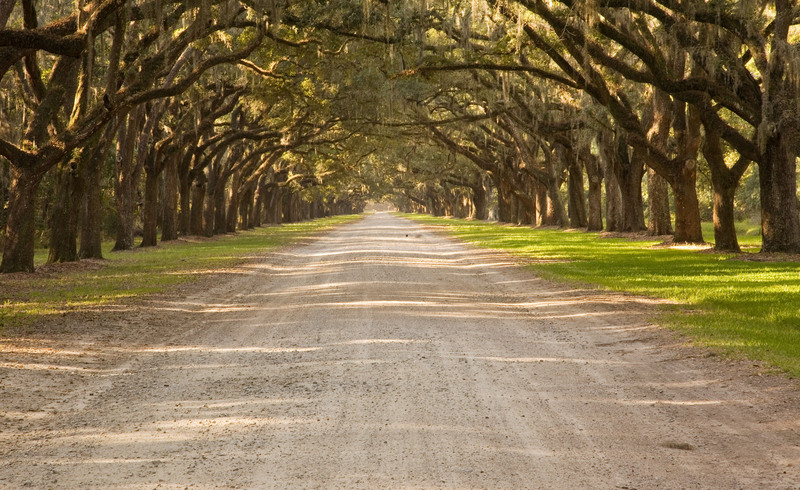 The road in the photo is lined with 400 Oak trees and is 1.25 miles long.